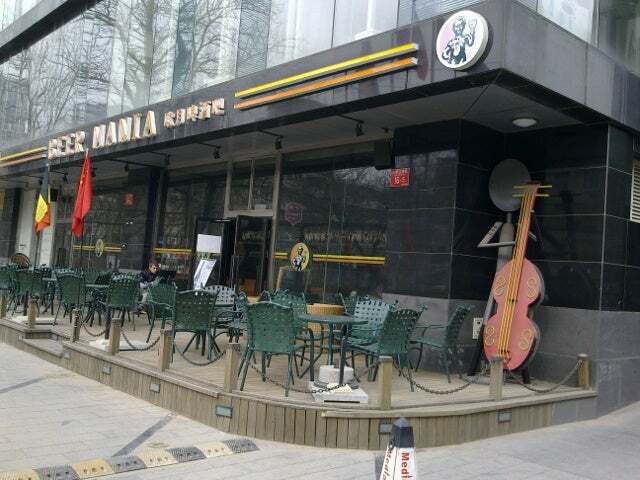 Like a little bit of Brussels in the middle of Beijing, this Chaoyang District bar as its name suggests is a sanctuary for beer buffs. They stock a vast array of Belgian brews here, including the infamous Delirium Tremens. The décor is pretty basic, the bass-playing statue outside the door a remnant from its previous incarnation as a coffee shop, but it’s cosy enough inside, with plenty of comfy seating and a pool table overlooked by Tintin and the manneken pis. They offer a range of Belgian snacks, waffles (of course), sausages, burgers, cheese, and Belgian style fries, but beer is the main pull here. They stock a wealth of Belgian specialities, including Trappist and fruit beers we’re glad to see our favourite cherry beer, Kreik, on the list. Duvel, Chimay Rouge, Kwak,and Corsendonk Agnus are all available by the bottle and there’s a large rotating selection of beers on draft too. There’s also a small wine list and a decent enough cocktail menu, featuring the usual suspects as well as a range of beer-based drinks like the Hot Gluhkriek, a warming mix of Kasteel Red, cinnamon and nutmeg. There are regular promotions including Beer of the Month and a generous happy hour. The atmosphere is laid-back and lively with live music and regular DJ sets on weekend nights.